Tonga, like Vanuatu and Palau and other tropical countries in the South Pacific, is a beautiful country with a not so beautiful number of job opportunities. You are going to really have to hustle in order to pull off a job. Volunteer opportunities are available (e.g. Peace Corps), but real money making opportunities are few and far between. Nevertheless, if you are dead set on living and working in Tonga, check out the useful resources below to get your job search kicked off. Also, be sure to double check my Tonga visa page for the latest visa information. Below is a selection of resources for searching for employment opportunities as a foreigner in Tonga. CareerJet: I’ve seen some postings on CareerJet for jobs in Tonga. All of the sites below are pretty similar and have teaching options. While the jobs won’t be plentiful for Tonga, it is definitely worth browsing through each site to see what you come up with. Also, be sure to check out this cool table from the International TEFL academy that shows how much money teachers can expect to make in various countries around the world. Linkedin: Last but not least, this huge professional social network is a resource for building contacts in the field and location of your interest. You are going to want to look up professionals with work based in Tonga. There you have it. The best places to find jobs in Tonga as a foreigner. 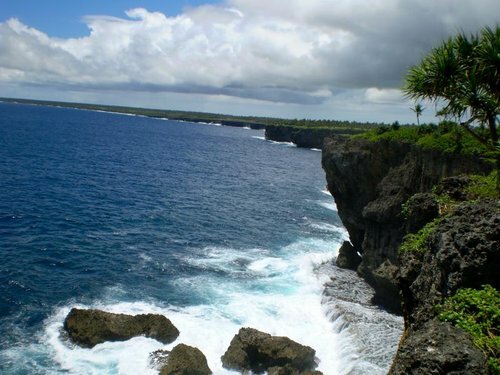 For information on visas for Tonga, be sure to check out my Tonga visa page.